If you have walls that are divinely empty, you might consider using some ornaments to decorate them. 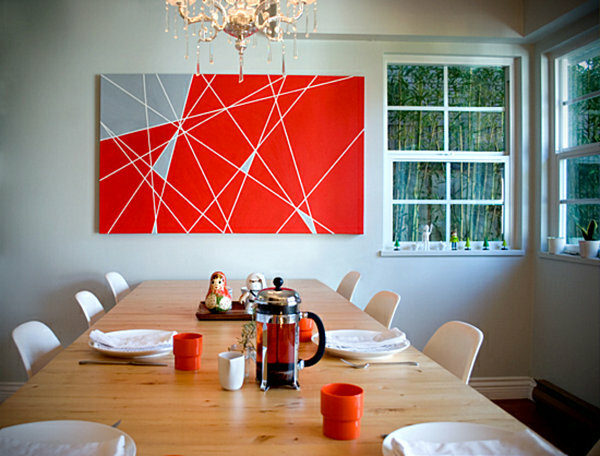 This post will introduce you to the wall décor that can be DIY. 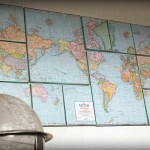 Wall decor can be easily done by you, without sparing big amounts of money. 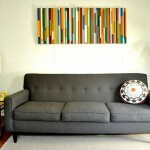 This budget tips on wall decor can help you in creating the best wall art that will improve your interior design. 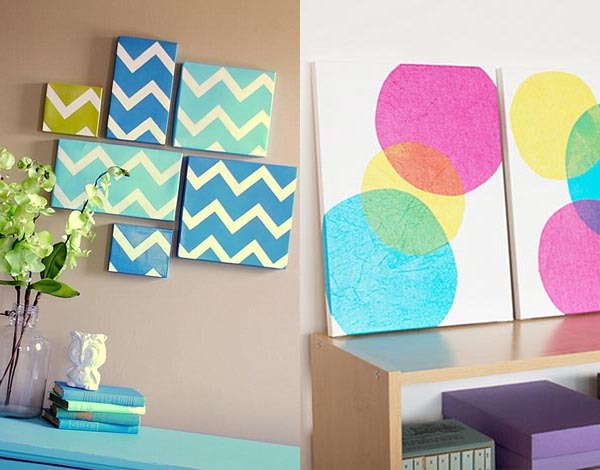 Using items that are scattered around the house, is one of ideas to make your own wall art. Some use paper towel rolls to create little 3D flowers, which are then attached to some canvas. Similarly any other kitchen items can be used to create 3D patterns on the wall. 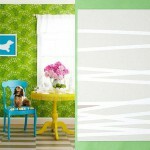 The flower pattern is very popular in creating wall décor. Another option is using geometrical patterns, with items that are available at hand, such as yogurt cups. 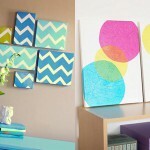 These, or any other round objects can help in creating the perfect circle pattern on canvas. There is also an option of creating round objects is using eggs or potatoes. Perhaps using coloring to yo ur circles on white canvas is also an awesome idea. One of the options is cluttering the patterns on the canvas, that have the same theme. 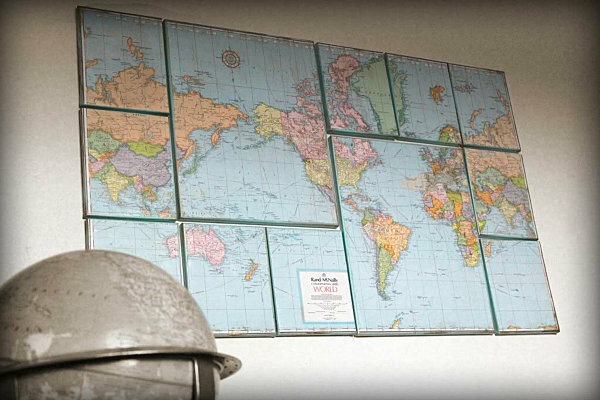 It can be anything, from a cluster of maps to a cluster of ceiling rosettes, that are painted according to your interior. Another amazing idea is to put wallpaper and confine them to frames. This looks original and somewhat elegant, if you use elegant wallpaper on a matching background. Clusters can become out of anything, even shoe boxes, or any other boxes that are painted in funky way. One of the most brilliant ideas is to make your own artwork. Don’t worry , you don’t have to have an art degree for that. 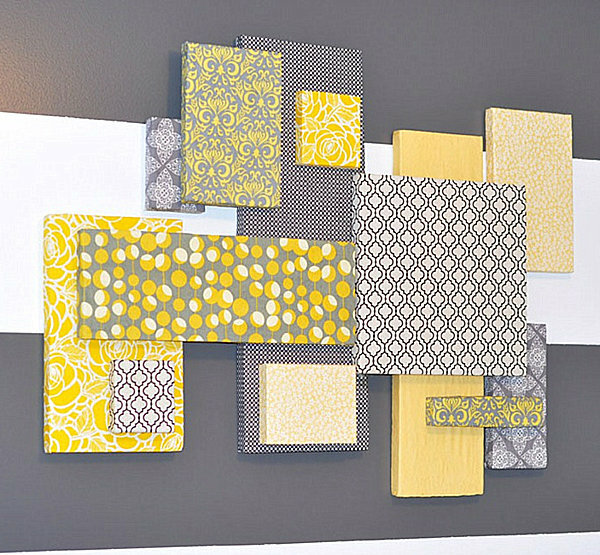 Use canvas of the size you need, buy some paint that matches your interior, and cover it with some strips of tape, and paint your canvas. 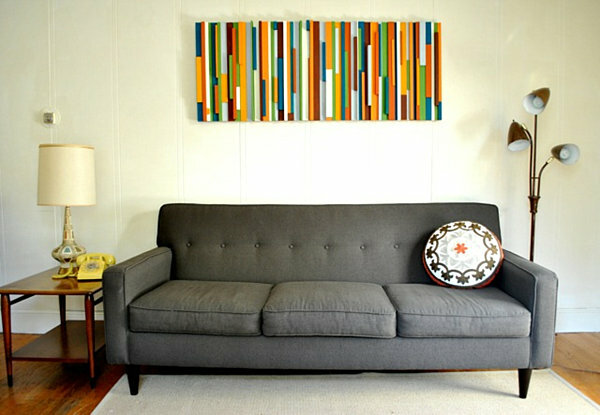 Then, when your canvas is dry, take away the strips – and now you are the owner a conceptual art piece that suits your interior! 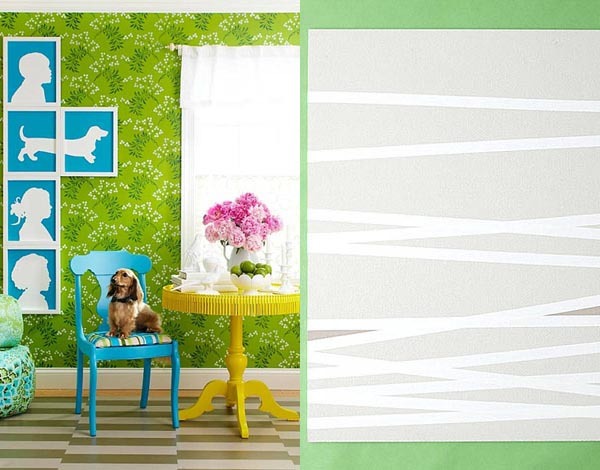 There are millions and tons ideas on decorating your walls, just use your imagination and skills! I just want to mention I am very new to blogging and site-building and honestly savored your web blog. Probably I’m planning to bookmark your site . You certainly have excellent posts. Thanks for sharing your website page.